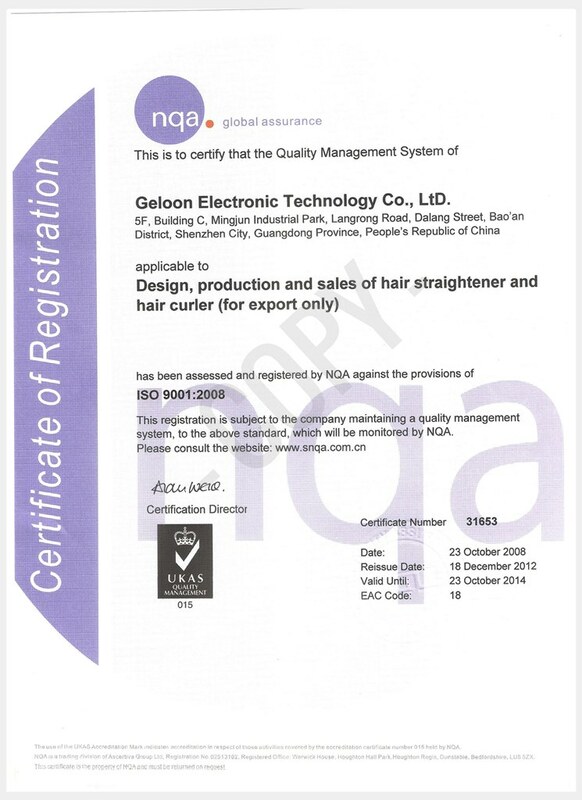 At Geloon, we do our best to ensure quality products with an efficient and professional customer service. 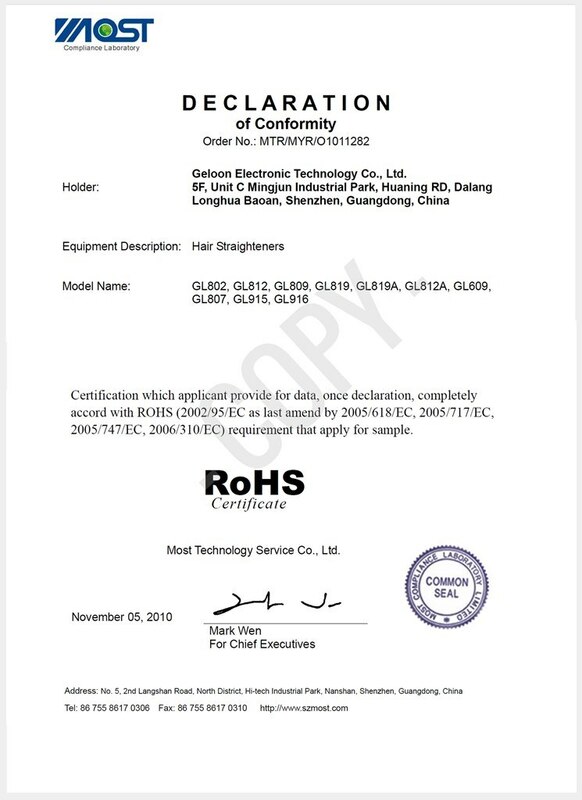 We aspire to be known as a company who provides quality hair tool that really meet the needs of our clients. 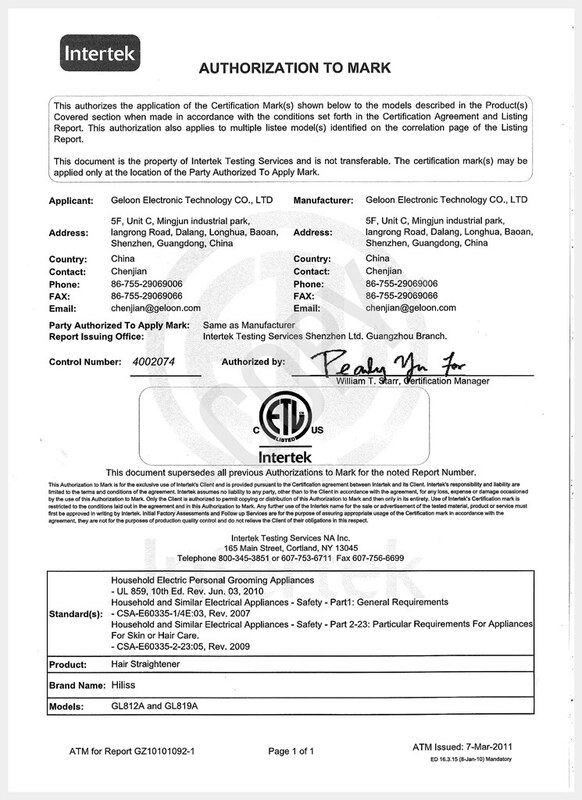 We keep up to date with all trends and developments in the market, ensuing that our products always meet the highest quality standards possible. 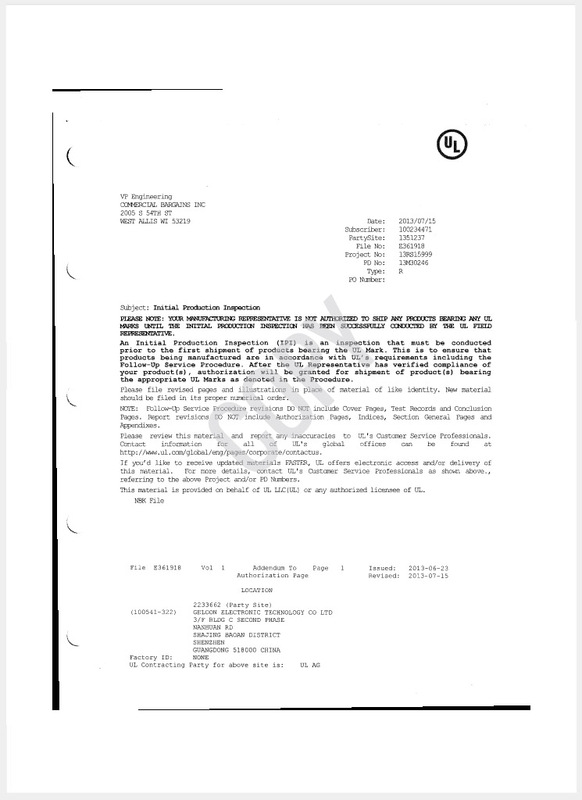 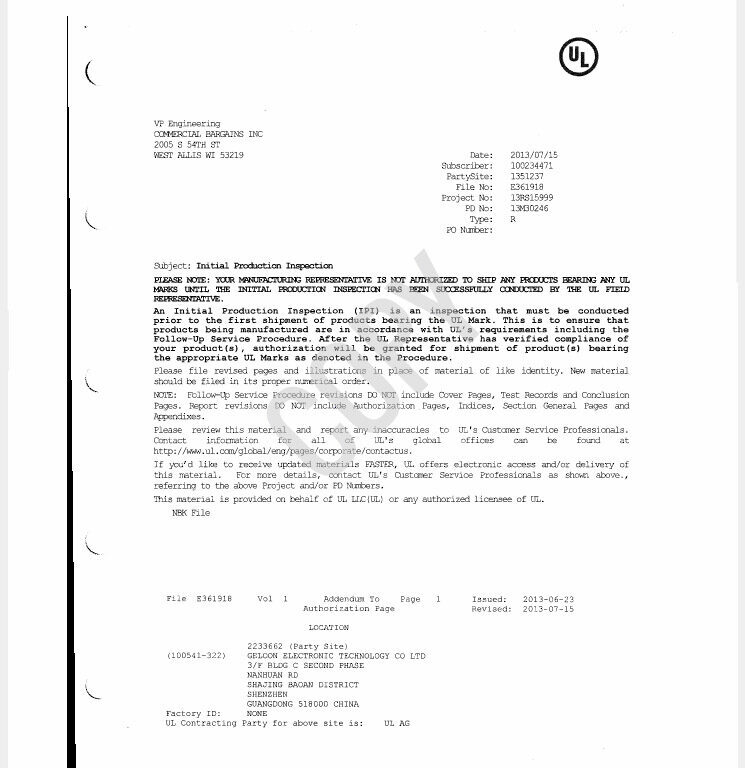 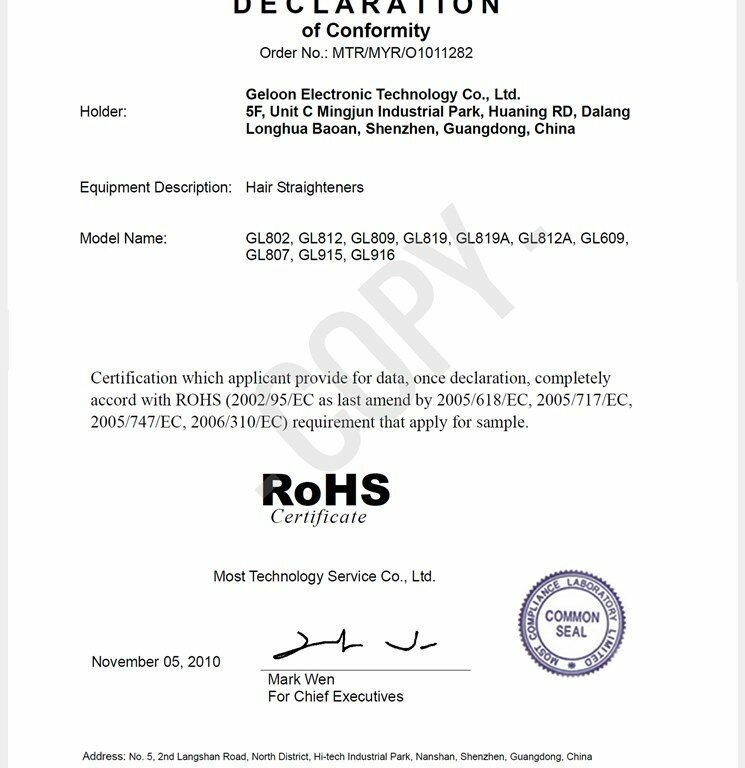 The CB certificate is for hair tools that are to be mostly sold in the Canadian market, Geloon’s range of products all meet CB standards, although only some of its products carry the CB certification – we are able to apply for certification on any of the non-certified products according to our clients’ wishes. 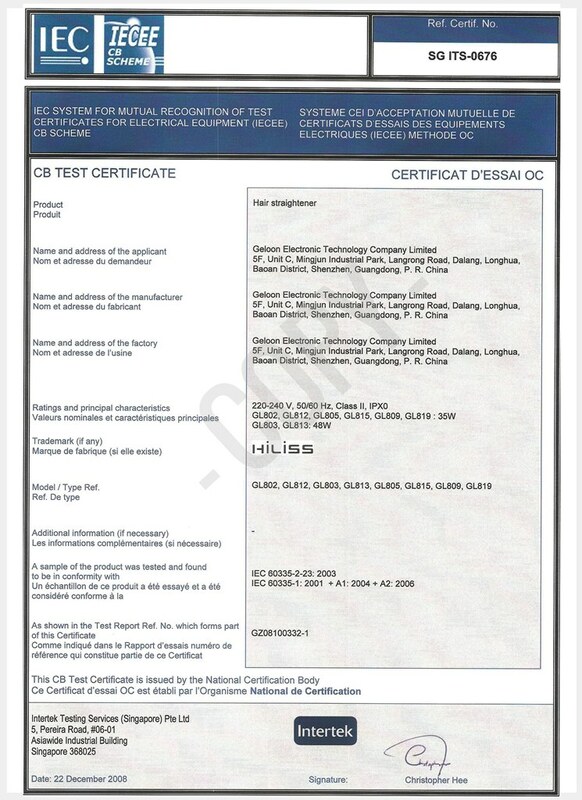 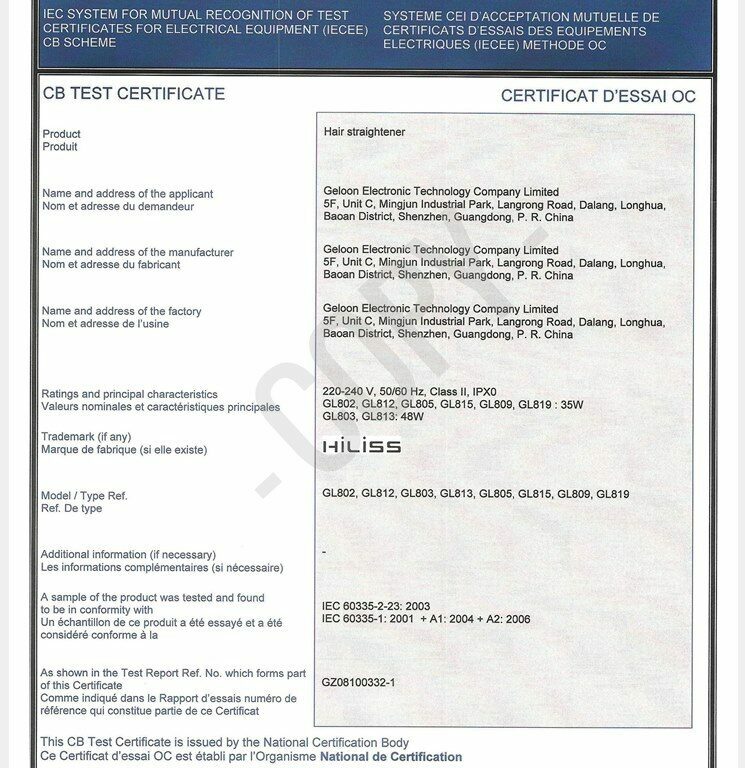 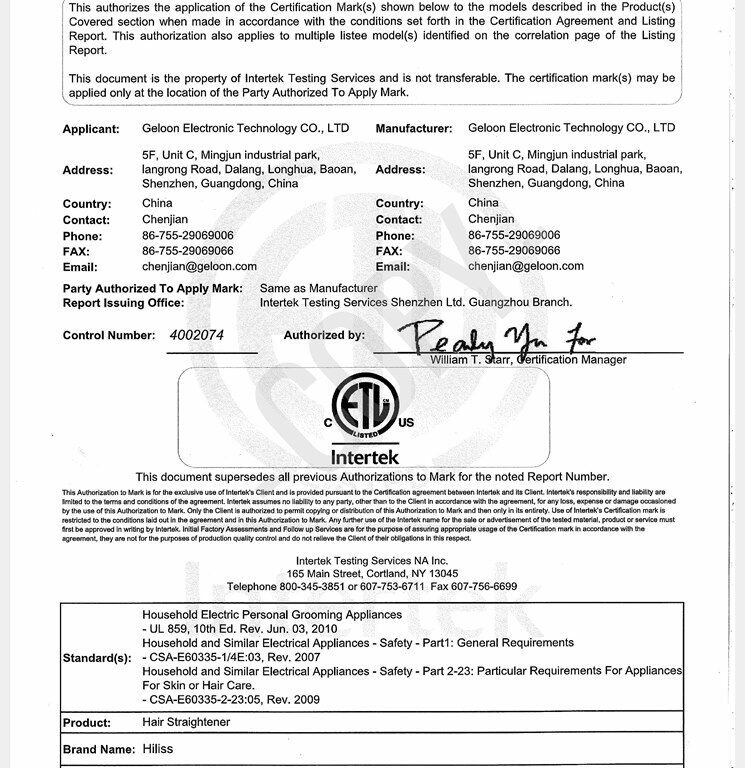 The CETL certification mark indicates that the product has been tested to and has met the minimum requirements of a widely recognized US and Canada product safety standard, that Geloon’s production facilities have been audited and that we have agreed to a program of periodic factory follow-up inspections to verify continued performance. 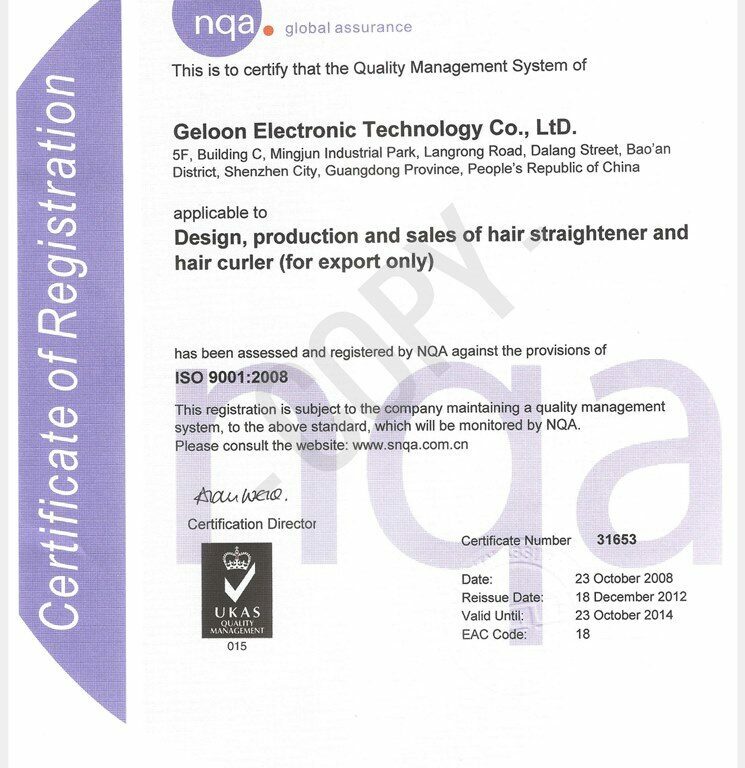 Geloon’s production facility in China has ISO 9001 certification, which guarantees that our working conditions, production methods and management all adhere to a worldwide standard. 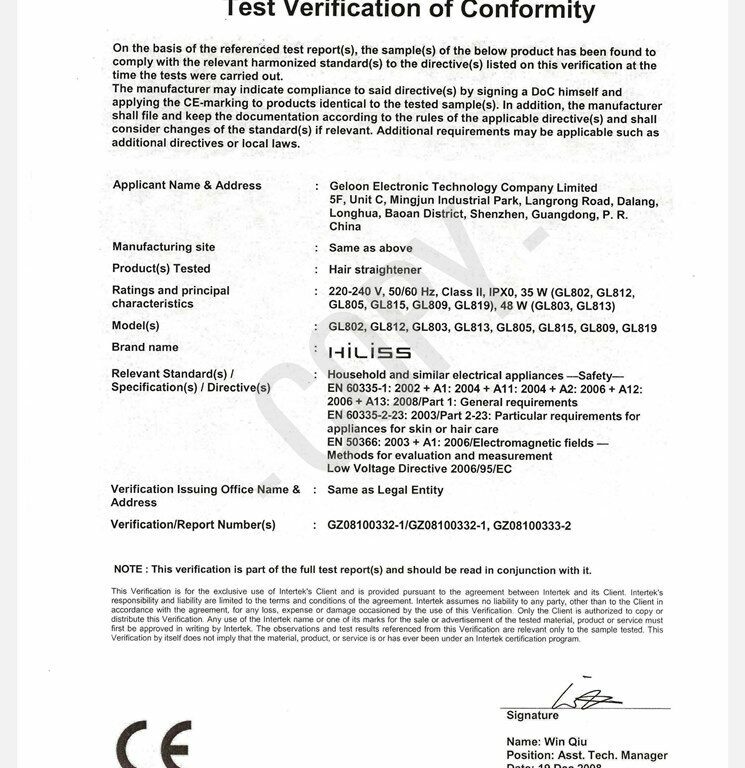 By holding UL certification, Geloon is able to produce products that comply with UL requirements with respect to reasonably foreseeable risks associated with the product. 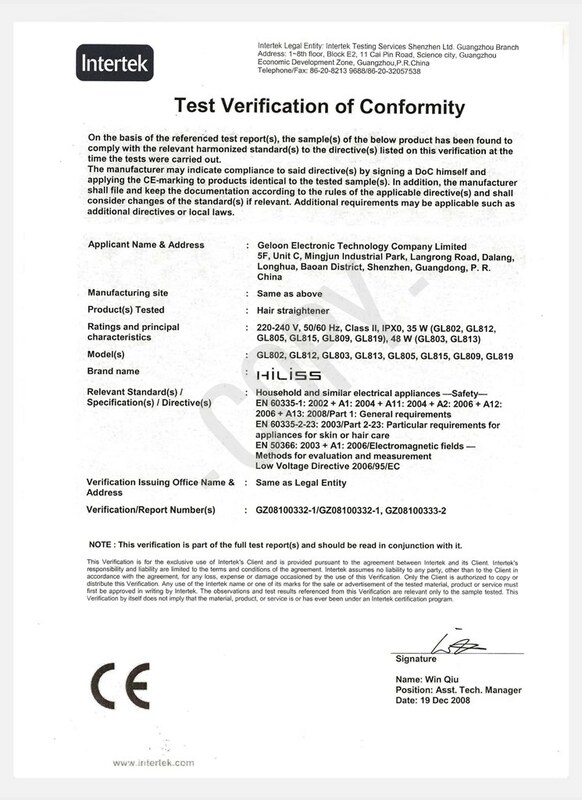 Please contact us to inform us of what you need – due to our experience in successfully applying for other certification, we’re confident that we can meet the standards you require.